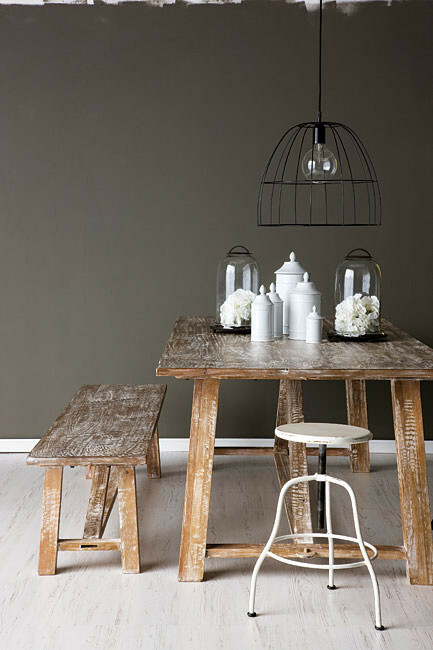 I’m really loving the neutral pallet of this industrial design spread found in Home Life – an Australian publication. A recent find that includes lots of DIY projects and yummy recipes. 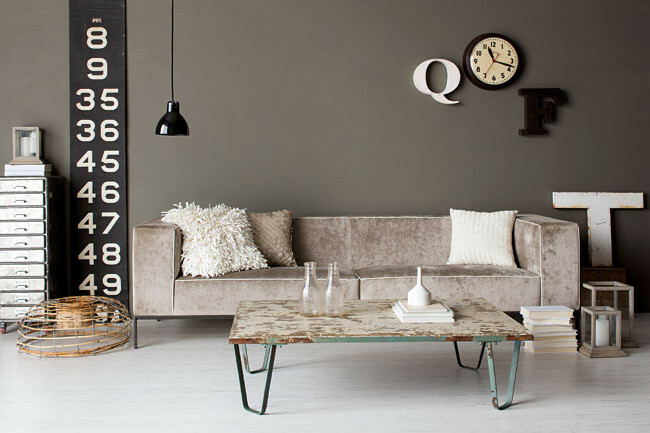 The grey walls and metal accents mixed with the de-stressed wood and soft creamy couch compliment each other so well. This really shows that you don’t have to design in any extreme and that meshing aesthetics is the way to go. Did you know it was snowing in Atlanta mid Sunday? The flurries started at the end of the amazing lifestyle bloggers conference at the Mansion Hotel. I met some amazing people and was overloaded with new blogger inspiration. In honor of my stay down south I looked over Atlanta Homes Magazine. I love the traditional country homes and mixing in some modern flair. Personality really shines through the design making it so welcoming I also love how they really promote local designers – lots of support! Not an Atlanta native.. no problem they have current issues online for free! How sweet, be sure to check it out ya’ll. Anyone sick of the cold yet? Really.. it just started! 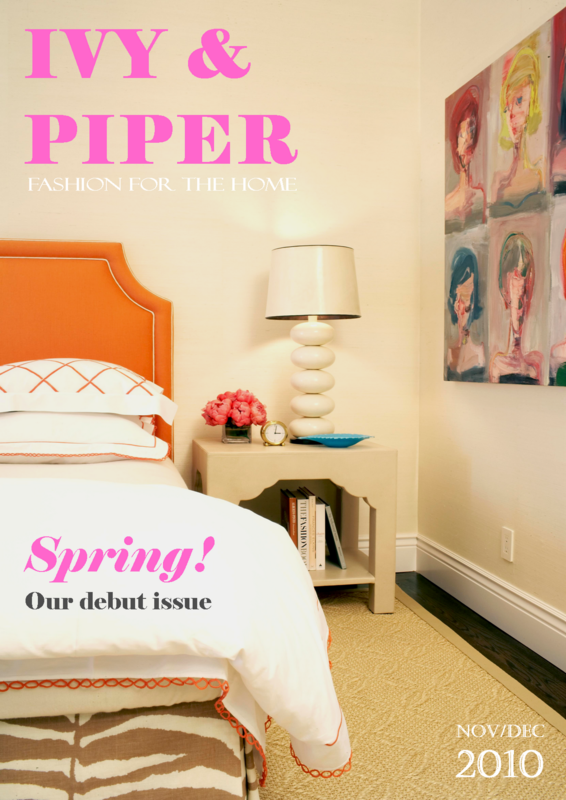 Well- to get a good spring fix check out Ivy & Piper an Australian online magazine of inspiring interiors, lifestyle products and fashion. Their debut issue -launched in early November- is a fresh, colorful inspirational read. I found many new international designers and bloggers that will research more. Enjoy everyone! Hope to see their next issue soon. Just last week two San Franiscoians launched a new online magazine. Ahn-Minh and Meg know it’s all about living with substance and style. 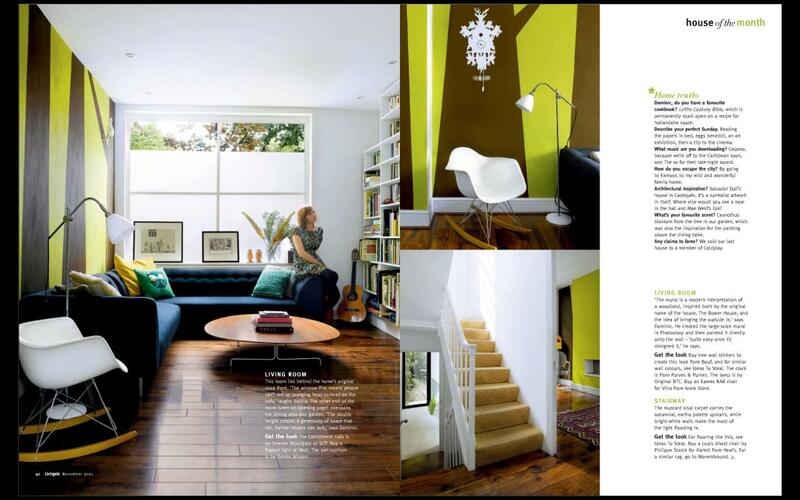 In the premier issue of Anthology you get really lovely look into the every growing Grace Bonney from Design Sponge. Click to read more about the magazine, blog, facebook… the list goes on! Enjoy! Always be on the search for new design magazines. There are a lot out there but it’s hard to get everything you want out of one distribution- decor, fashion and even some recipes that will never attempt. Let me tell you- I think this, British based magazine, is it. Lucky for you, there is a page for page digital version online if you can’t get your hands on a hard-copy. 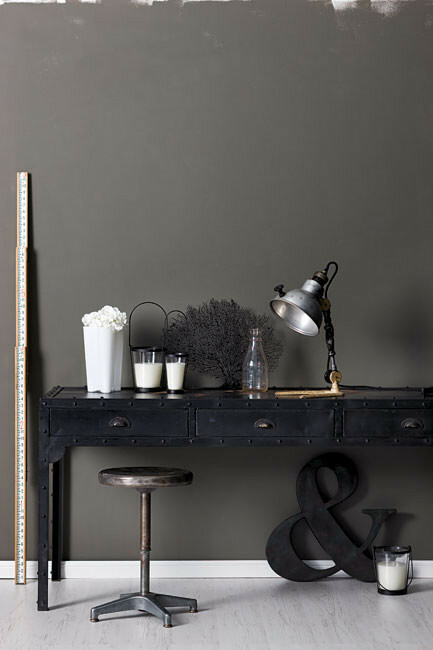 Check out this little peek that got my inner design nerd going. This lovely five-story Georgian townhouse located in London belongs to Architect Dominic Mackenzi and his wife Saskia Green. 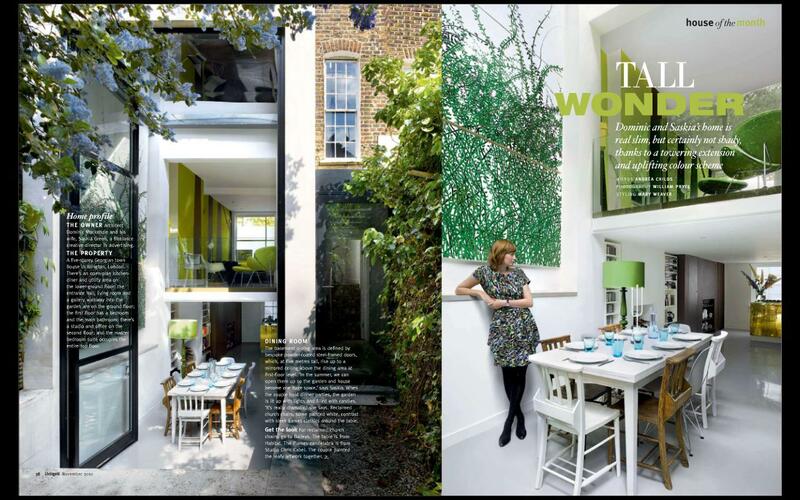 The floor to ceiling doors that opens the kitchen to the garden is breath taking. Imagine basking in all that natural light! 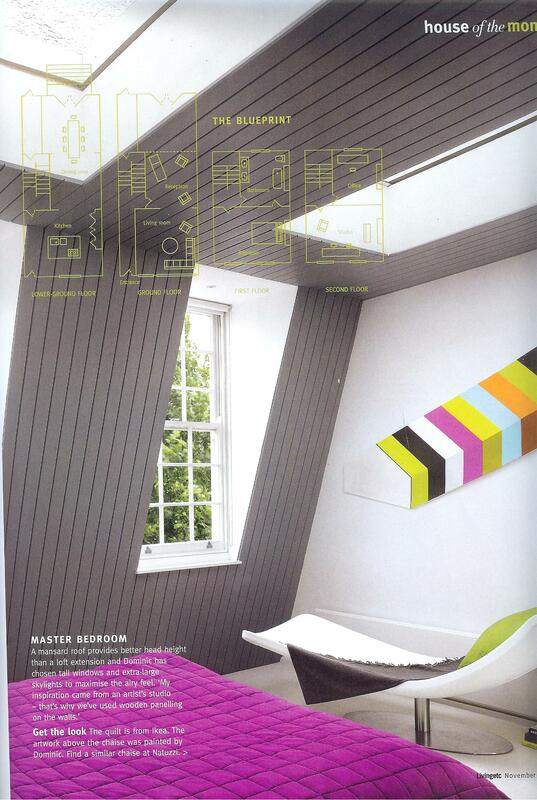 One big plus to this magazine are the blue prints of the houses so you feel extra nosy.